Metro Pizza owns and operates a chain of restaurant providing pizzas in Nevada. The Metro Pizza also provides catering and cooking classes along with its restaurant services. The restaurant menu includes appetizers, salads, dinners, family sized platters, calzone, stuffed pizzas, pizzas, specialty pizzas, east side pizzas, lunch specials, subs, god bless America, coffee and desserts, and special kids menu. 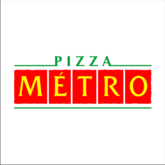 The Metro Pizza restaurant has Best Pizza in Las Vegas award by various journals, and reviews. The restaurant also provides catering services for weddings, social events, seminars, get together, reunions, and celebrations. The company also provides corporate services for various companies. There are currently 0 consumer reviews about Metro Pizza available. Share your review. Please take a note that you are about to post a public review about Metro Pizza corporate office on CorporateOffice.com. This review will be public, so please do not post any of your personal information on this website. If you would like to contact the corporate offices of Metro Pizza, please use their contact information such as their phone number, website, and address listed above to contact them. However, sometimes staff from Metro Pizza headquarters do read the reviews on this website.